At Freelance Technical Services we offer more than just gear rental. We have decades of industry experience and we’re ready to use it to help bring your next live event to fruition. We provide our clients with video system technical assistance from concept all the way through to strike. Our clients can expect expert advice and guidance taking the guess work out of video system requirements and engineering specifics. 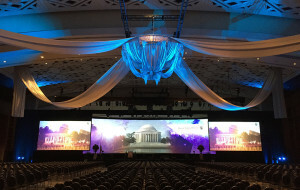 We offer custom tailored video system patches for a clear and concise framework to build any show from breakouts to large general sessions. We have a personal relationship with all our clients to help make you feel confident and ready for your next live show. Alongside comprehensive video system pre-production, we offer the highest quality gear in the industry, ready for rental. Meticulously maintained and thoughtfully packaged, our family of video systems provide a reliable nerve center for any show, big or small. 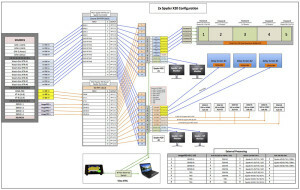 Check out our system details and find the best fit for your next show. ALL OF OUR SPYDER X20 PACKAGES COME EQUIPPED WITH THE HRS SPYDER TOUCH CONTROL PANEL FOR SEAMLESS OPERATION. OUR BARCO E2 PACKAGE HAS AN AVAILABLE BARCO EC-50 CONSOLE UPON REQUEST. GET IN CONTROL OF YOUR NEXT SHOW WITH FTS. STAY CURRENT. STAY UP TO DATE. STAY AHEAD OF THE CURVE. AT FTS WE ARE CONSTANTLY UPDATING OUR INVENTORY TO MEET THE DEMANDS OF OUR CLIENTS WHILE KEEPING UP WITH THE LATEST TECHNOLOGY AND INDUSTRY STANDARDS. CHECK OUT SOME OF OUR NEW ARRIVALS BELOW.